Designed with the aid of a Certified Hand Therapist, isotoner glove offers relief from the pain of swelling associated with arthritis or post hand injury and swelling by reducing oedema for hand conditions. 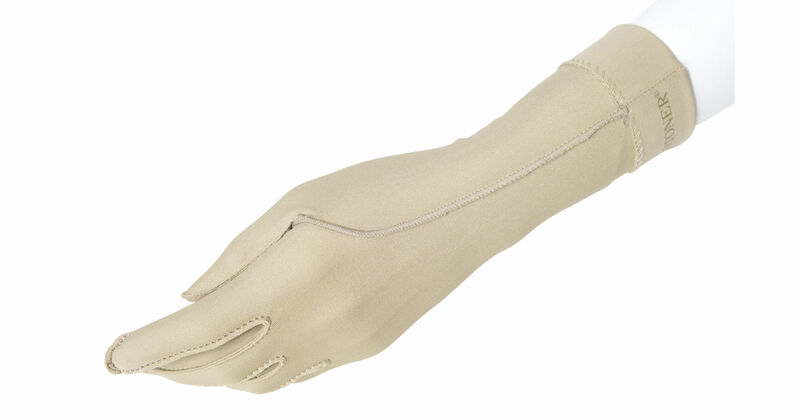 Isotoner glove made from a light weight spandex with excellent stretch qualities and exterior seams designed to avoid sensitive areas, such as the base of the thumb. Isotoner® therapeutic gloves offer relief from the pain of swelling associated with arthritis or post hand injury pain and swelling.